Accounts are free, and simple to create. Get Tracking in 3 Easy Steps. > Fill out the form with your details. 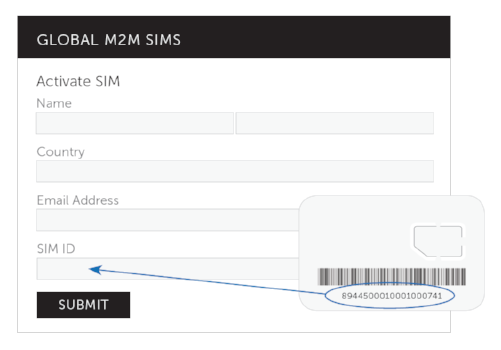 Your sim ID is located below the bar code on the back of your sim card holder. Simply plug your new device into your vehicles OBD II (CANbus) port. Please ensure your vehicle is turned on when you are creating/activating the device on your free vehicle tracking account otherwise the device will not activate. Sign up online and start tracking today; http://www.freevehicletracking.com/signup and fill out the information required. You will also need to have your email open to confirm your account.